The Foretrack vehicle tracking solution offers live web based tracking and fleet management, providing around the clock visibility and control of your mobile workforce from any internet enabled PC. All of the below products are visible under the same log in page allowing you to manage vehicle, trailer, portable and lone worker units without having to change systems dependant upon tracking type. Please contact us if you would like a free vehicle tracking online demonstration and to discuss current pricing. The Mambo2 is an advanced personal tracker that integrates a quad band GSM/GPRS phone for two way communication and a 20 channel low-power GPS receiver for positioning. Mambo2 can be used as a mobile phone with the standard features, voice calls, SMS all through a simple menu-guided operation. 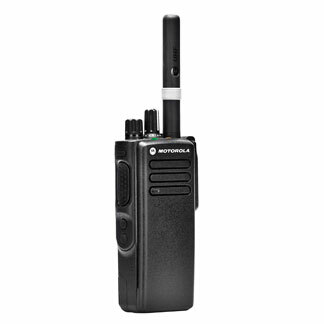 This small robust device can be carried along in a pocket or fixed in a vehicle. MAMBO2 also supports a series of functions for GPSnavigation and tracking via SMS, CSD and GPRS/TCP. The all-rounders true strength lies in the multitude of its configuration options: Rolling GPS display, geo-fencing capability with alarm and an ultra-precise movement detector are just some of the Mambo2’s core functions. The V3000 is a small and inexpensive vehicle tracker that connects directly to the OBDII or EOBD port in a car or small van. It requires no external antennae or power, making installation very easy. Simply locate the OBD port (normally in the driver or passenger footwell) and plug in the V3000. Alerts can be generated on key vehicle data, such as high engine RPM, to obtain a greater insight into the way a vehicle is actually being driven. It’s possible to detect the state of the vehicle malfunction indicator light (MIL). This can be useful in rental or lease scenarios to identify if a vehicle requires maintenance work. Speed is determined from the actual speed the vehicle believes it is travelling at. Whilst this may be less accurate than GPS-derived speed as it typically includes a margin of error, it does reflects the speed that is indicated to the driver and so is more appropriate for monitoring driver behaviour. It is also immune from the problem of spurious high speeds caused by GPS errors. Ocellus S100 is a High Sensitivity GPS/GPRS remote surveillance and tracking device, which allows users to monitor the location of vehicles and assets of all kinds. High Sensitivity GPS enables operation in urban canyons, under heavy foliage and even indoors, and permits installation in locations where a direct sky view is not available. It is particularly suitable for operation in and under vehicles. Its internal activity sensor enables powersaving by allowing the unit to power down in between position fixes, contributing to its exceptional battery life. Attachment to any tracking subject is simple because of its small size (133 × 48 × 25 mm) and removable multifunction magnetic mount. The integrated antennas and battery make the unit highly reliable by removing the need for a complex wiring installation. With its High Sensitivity GPS, sophisticated power management and integrated tri-band GSM/GPRS module, the Ocellus S100 enables users to both enhance existing telematics applications and enable new business concepts to be realised. Ocellus T100 is a High Sensitivity GPS/GPRS fleet management / tracking product, suitable for tracking trailers and commercial vehicles. High Sensitivity GPS enables T100 to be installed without external antennas, under the trailer in a convenient location for the installer, e.g. adjacent to a junction box. This dramatically reduces the installation cost of the product. GPRS provides low cost data communications over the GSM network, much reducing the cost of ownership compared to systems that rely on SMS messaging. Ocellus T100 is designed to be powered by the vehicle to which it is connected. If installed on an articulated trailer for example, the T100 internal battery continually charges while the tractor unit is connected; when the trailer is disconnected from power the unit detects this and switches to a power-saving mode to extend its battery life. The unit detects its motion state and determines journey start / stop and movement, enabling the automated generation of management reports from web tracking services. The rugged enclosure and connector system, integrated antennas and rechargeable battery make Ocellus T100 easy to install and highly reliable by removing the need for a complex wiring installation, or replacement of batteries.